The Tiguan has made quite an impact on the midsize-SUV market since its launch in 2016, regularly selling more than 500 units a month. We regard the vehicle highly and in our initial test – of the 1,4 TSI Comfortline – we concluded: “Simply put, based on this acquaintance, we have little hesitation in proclaiming it the new class benchmark.” This was confirmed when it subsequently scooped the award for Best Midsize SUV/Crossover in our Top 12 Best Buys in 2017 and this year. The midsize-SUV segment has gone from strength to strength, to where it is now the staple diet for urban dwellers looking for a family vehicle offering the promise of the odd excursion from smooth asphalt. So much so that families are lured out of sedans and MPVs, setting those segments’ sales in a tailspin. Volkswagen has not been unaffected, either, and models such as the Touran, with its optional seven-seat arrangement, were discontinued. 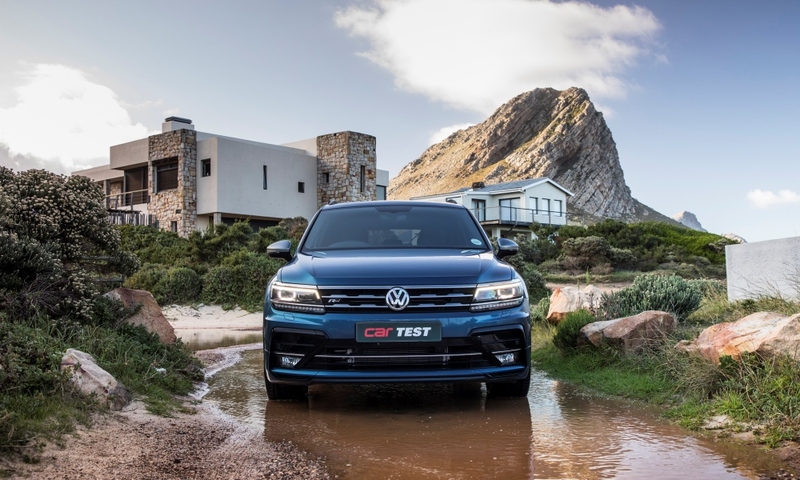 Its spot has now been occupied by the Tiguan Allspace, which offers the same enticing formula as the regular Tiguan but with an additional row of seats neatly stored in the boot. The much-lauded MQB-platform once again shows its scalability with VW’s engineers stretching the wheelbase by 110 mm and the rear overhang by 105 mm to accommodate the extra seating, adding 215 mm to the vehicle’s length. The result is equal minimum and maximum legroom space (515 to 680 mm) for the second and third row depending on the position of the sliding middle row. With the last row having a 50:50-split backrest and the second row employing the standard 60:40 divide, the interior is configurable, allowing for a range of transport. Being able to stow the sliding boot cover neatly in the floor of the boot behind the space-saver spare wheel is a handy trick. As is usually the case with third-row seats in SUVs, they can feel cramped if the other rows are also occupied. They’re fine for kids, though, and one tester’s offspring aged five and seven easily fitted in those chairs during a family trip to the Overberg, accompanied by grandparents in the second row. Styling-wise, there are a few cues to differentiate the Allspace from its smaller sibling, including a raised bonnet, a more pronounced kick of the shoulder line after the C-pillar, larger side windows and integrated trapezoidal tailpipes. An optional R-Line kit (R19 873) adds to the visual appeal but has a negative impact on the ride; more about that later. 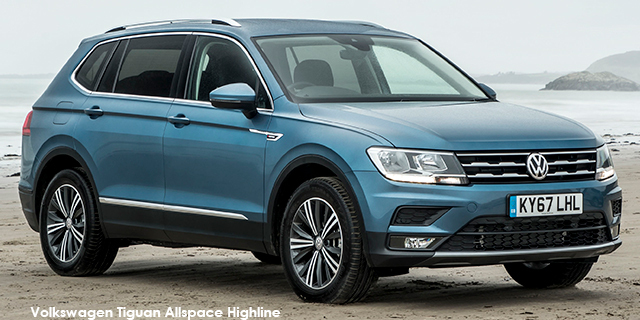 Overall, the Allspace exhibits the same elegant persona that’s been one of Tiguan’s strong points. Inside, you’ll find a familiarly modern VW layout and its pronounced horizontal lines. The facia again garnered praised from the team for its quality of finish and ease of use. Our test unit in Comfortline specification was further spruced up with Active Info Display (R8 675), a 9,2-inch touchscreen with Discover Pro sat-nav (R12 105), a panoramic sunroof (R12 206) and Vienna leather seats (R11 096). 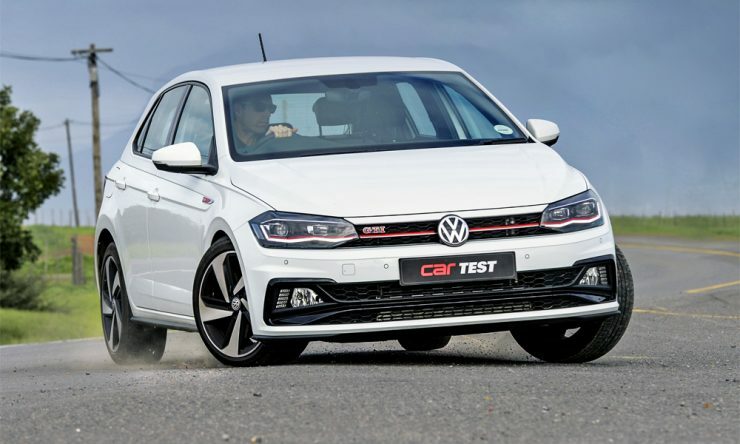 The test unit was fitted with the new (for the Tiguan) 132 kW/320 N.m 2,0-litre turbopetrol engine (a 162 kW option is also available) mated with a slick-shifting seven-speed dual-clutch transmission. 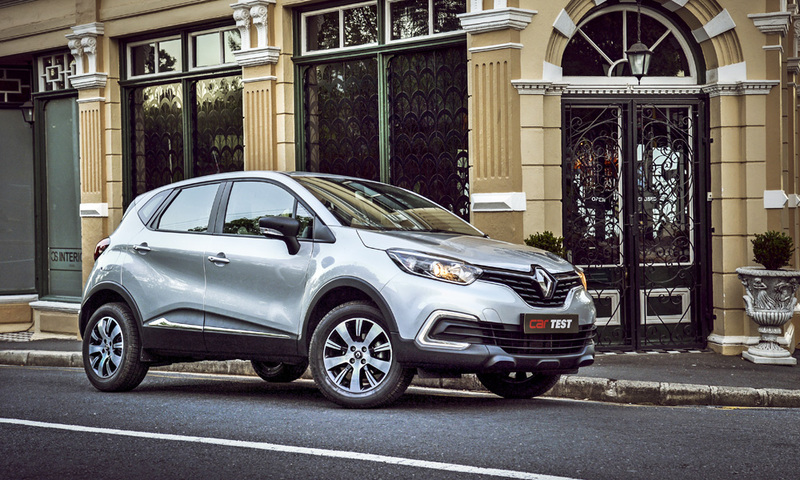 Performance is impressive, with the torquey engine able to shift the 1,8-tonne vehicle with relative ease. The unit does become a touch raucous at high revs, but only when attempting to mimic its sub-9,0-second acceleration run on our test strip. 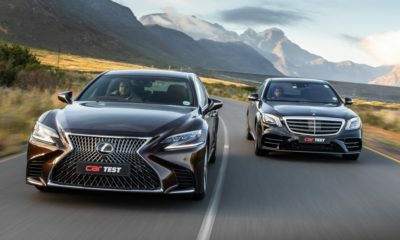 Braking performance is class-leading, recording a 2,87-second average to complete 10 emergency stopping tests, with a best time of just 2,59 seconds. Unusually for our standardised 100 km fuel-consumption test, our mixed-cycle figure equalled VW’s claim of 7,7 L/100 km; it’s rare that a manufacturer’s claim matches up to real-world driving. When fully loaded, though, the indicated figure hovers closer to 10,0 L/100 km. Likely to be more efficient is the 2,0-litre TDI derivative also available in the Allspace. From behind the wheel, this new VW does feel like a slightly larger version of the standard Tiguan but the impact on the general dynamic behaviour is minimal. As alluded to earlier, one bugbear is the effect the optional R-Line kit’s sport suspension has on the ride. As also noted on that scoop test back in 2016, along with the 19-inch wheels, it results in a ride that can be unsettled over broken surfaces, sending the odd jolt through the cabin. Experience with a Tiguan on smaller wheels and standard suspension settings showed it to be appreciably more compliant. 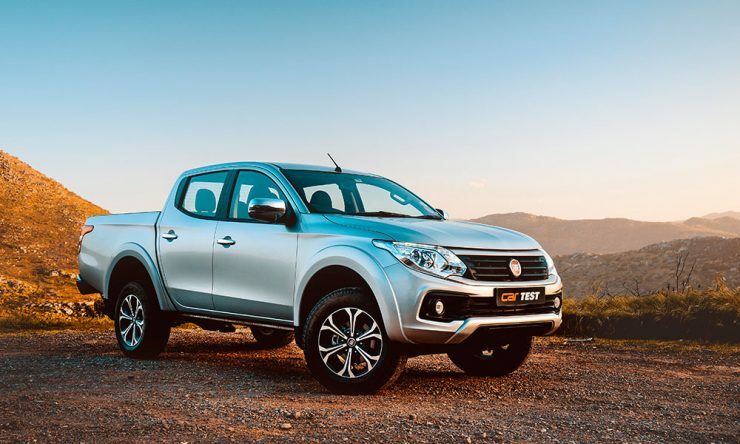 As this unit is equipped with 4Motion with drive-mode selection, sending torque to all four wheels when needed, one tester braved a dirt mountain pass including a light off-road section. Again the R-Line setup did not enjoy any sinkplaat corrugations, although there was no lack of grip from the all-wheel-drive system. Ground clearance is middling, so real bundu-bashing isn’t advisable, although you can get an optional off-road package (R3 581). This includes a different front bumper that allows a seven degree increase in approach angle and better under-body protection. Volkswagen has a knack for predicting consumer needs and the firm has timed the introduction of the Allspace perfectly, adding extra versatility to the highly regarded Tiguan without diluting the formula. Even if the seven seats are not used, the Allspace offers a larger boot (368 to 488 litres) and utility space (1 376 litres) than the standard car, allied with a slight price premium that is justified given the wider appeal and extra standard specification. If the 144 units sold in its launch month are anything to go by, we expect to see many South African families opting for an Allspace. Would You Like To Make Contact With Us?